Halo 5 Update TEASER! Reach Grenade Launcher and AA Wraith! Teaser for the next update for Halo 5! Halo Reach Grenade Launcher, the Anti-Air Wraith, and more! 343 Industries and Creative Assembly discuss the multiplayer modes of Halo Wars 2, including Blitz, where tactical combat meets card-based strategy — choose a Leader, build a deck of cards, and deploy them in explosive battles. 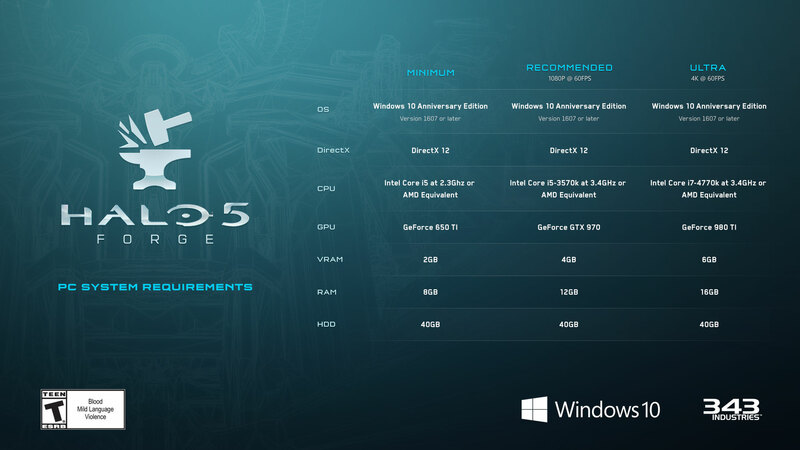 Halo 5 Forge on Windows 10 – Testing Mercy with New REQs! Just a little test of Halo 5 Forge on Windows 10 PC. On the map Mercy, remake of Halo 4’s Haven, with the all new Anvil’s Legacy REQs: Tactical Mangum, Gunfighter Magnum, Wicked Grasp, and Berseker’s Claw! Running at 1080p 60fps High settings. Halo 5 Anvil’s Legacy REQs Preview – Tactical Magnum, Gunfighter Magnum, Hunter Cannons! Preview of all the new REQs coming to Halo 5 with Anvil’s Legacy Update September 8th! Join Spartan Fireteam Apollo with the Halo Legendary Crate: a mystery subscription service delivering 5-7 EXCLUSIVE collectibles from the biggest moments in the Halo universe, including a new figure line made just for this crate, apparel, in-game content and other UNSC-approved loot, every 2 months. Halo 5 Anvil’s Legacy REQs! Assault Cannons, Tactical Magnum, & More! Halo 5 Anvil’s Legacy DLC REQs Revealed! Wicked Grasp, Berserker’s Claw Assault Cannons, Tactical Magnum, Gunfighter Magnum, New Noble Team Mythic Armor, Master Control Weapon Skins, and more! Halo 5’s next update, Anvil’s Legacy, arrives September 8th adding Mercy Arena Map (Haven Remake), Temple Warzone Assault Map, new armor, weapon skins, and REQs like the Gunfighter Magnum, Hunter Fuel Rod Cannon, and possibly the Halo 3 ODST Pistol. Content Browser is also being added alongside the release of Forge for Windows 10. Also spotted in the footage is a Neon weapon skin set, Emile’s flame armor variant, and a striped version of Jorge’s body armor.